As the years go by, your home can easily become filled with clutter if you’re not careful. Scattered throughout your home, there’s going to be a long list of items that you don’t use anymore that probably won’t ever get used again. Out of all of those items, we’re going to talk about five that we know you have — that should be donated, recycled, or thrown away properly. Chances are you don’t need them at all, but you’re hoping these gadgets can either improve the time it takes to prepare a meal OR make you a better cook. More often than not, these smaller appliances won’t make you a better cook, you’ll use them a handful of times, and then they’ll be designated to the closet or garage. Keep your kitchen appliances to the bare minimum with just the necessities that you do use on a frequent and consistent basis. They say you can’t ever have too many shoes. While we would normally agree with that statement (because we too love shoes), there’s a specific type of shoe we know everyone can live without — the “one and done” shoe. Have you ever bought a pair of shoes to wear once for a specific occasion or with a specific outfit and then never wore them again? Whether they were for a wedding, Halloween costume, or a photoshoot — find these unique pairs of shoes a new home. Give them to a friend, donate them to charity, or even try and sell them online for a few bucks. Have you ever found yourself re-reading a magazine for the second time? For most people, magazines are a type of reading material that you read (or quickly skim through) once. There’s no reason to keep stacks or bookshelves of them once you’re done reading them (unless they have a special significance). Go through your old magazines and place all of the ones you’ll never look at again in the recycling bin. The attic (or basement) is usually filled with decorations for holidays like Halloween, Thanksgiving, Christmas, Hanukkah, etc. While it is fun to decorate your home for the holidays, decorations can begin to break or wear down as the years go by. If you find any broken decorations or ones that you haven’t put on display for the last few years, make it a point to throw them out or recycle them responsibly. We know that some decorations may hold some sort of sentimental value, so find a way to repurpose the decoration or take pictures of them before you dispose of them. When was the last time you seriously opened a physical cookbook? These books were used a ton before the age of the internet, but now with every recipe ever at our fingertips — physical cookbooks are almost pointless (unless they’re signed by the chef-author). 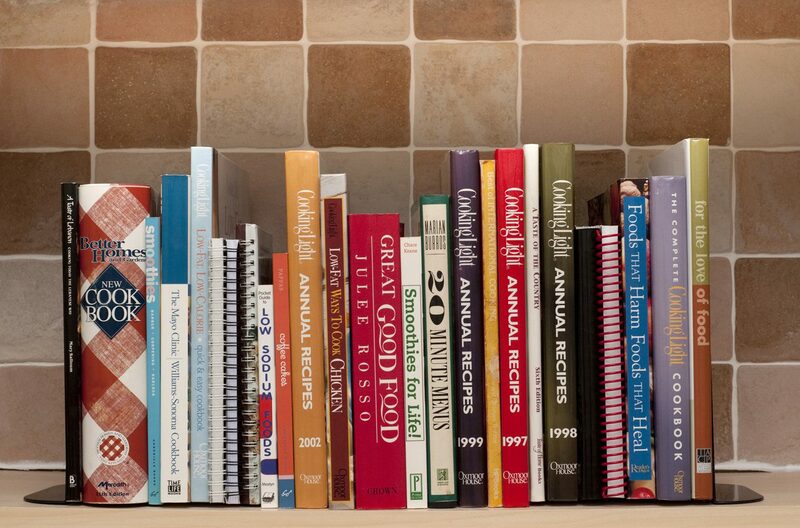 Go through all of your cookbooks and dispose of any you have never used OR repurpose a few of them as decorations! Bonus Tip: Take pictures of all of your favorite recipes and make your own e-cookbook. This way you’ll have all of your favorite recipes in one digital place. However, you can also print them out to have just one physical copy in your home. There are so many things in your home you probably haven’t touched in years. If it’s been that long, then it’s safe to say you’ll never use them again and it’s time to free up some space! For those that need one-time trash removal OR would like to rent a dumpster for your cleanout, give us a call and we’ll provide you with the solution you need!